Looking for deals in Hong Kong? Designed by famous local architects, the stylish Hotel ICON enjoys harbour views in Tsim Sha Tsui East Kowloon. It presents a rooftop outdoor heated pool, pampering spa services and a health club. The service was excellent. Whenever I needed anything, they were happy to help. I especially liked that I was able to leave my bags with the concierge on my last day, then access the lounge after to freshen up before my flight. Sky-high luxurious rooms with free Wi-Fi are located on floors 102 to 118 of The Ritz-Carlton Hong Kong. In room coffee maker is very convenient! Five-star InterContinental Hong Kong Hotel enjoys a waterfront location. As soon as I reach hotel treated like King at the check in I was upgraded because of my birthday and room was with best view. Everything was wow about this hotel, check in, concierge, breakfast spread checkout and other staff. Rising over busy central Kowloon, the upscale 5-star Cordis Hong Kong enjoys direct access to Mongkok MTR Station and Langham Place Mall. Professional and friendly staff. Modern facility. Very good location, good communication. Attractive value for money ratio. Superbly located in the heart of Central-The Landmark Mandarin Oriental-Hong Kong sets new standards in Asia for deluxe contemporary accommodation and state-of-the-art in-room facilities-This... Excellent location and hotel! Modern, comfortable and vera nice room. Incredible! Set at the doorstep of Ocean Park MTR Station, Hong Kong Ocean Park Marriott Hotel is at at the southern coast of Hong Kong and offers a resort style accommodation and a 16-metre high aquarium at the... Room were spacious and bath tub was awesome! Set in Hong Kong, within a 6-minute walk radius of Happy Valley Racecourse and Times Square Hong Kong, The Emperor Hotel provides accommodation with a fitness centre and on-site dining, and free WiFi.... The room and bathroom were spacious compared to others we have stayed at in Hong Kong. Pentahotel Hong Kong welcomes guests with a seasonal swimming pool and fitness centre. Guests can choose from 2 dining options and enjoy free WiFi access in all areas. Your staff members are all so kind, considerate and helpful. Easily accessible from the airport in 35 minutes by taxi, Hong Kong Gold Coast Hotel provides a pleasurable escape from the city’s hustle and bustle. The room's view was absolutely amazing. The staff made sure I got a stunning view to the docks. Soaring 56 floors above Pacific Place Shopping Complex in Central, Island Shangri-La, Hong Kong offers luxurious accommodation and a Michelin-star restaurant. Excellent stay in central Hongkong !!!! I will strongly recommend it. Sitting atop the prestigious Pacific Place Complex, the JW Marriott Hotel Hong Kong has direct access to the Admiralty MTR Subway Station and Pacific Place Shopping Mall. Great service and very friendly staff! The Pottinger Hong Kong is conveniently situated in Central, within walking distance of Central MTR Station, Airport Express and Lan Kwai Fong. The staff is very accommodating and helpful especially Nicholas. Blending traditional Oriental elegance with modern luxuries, Butterfly on Wellington Boutique Hotel offers boutique accommodation, 6 minutes’ walk from Central MTR Station. The very good position, easy to reach the hotel, and closeness to the Central Station. What hotels in Hong Kong offer an especially good breakfast? For hotels in Hong Kong that serve up a highly-rated breakfast, try Hotel ICON, InterContinental Hong Kong and Kerry Hotel, Hong Kong. What hotels in Hong Kong are good for couples? These hotels in Hong Kong are highly rated by couples: Homy Residence, The Upper House and Mandarin Oriental Hong Kong. What are the best hotels to stay in Hong Kong? Hotel ICON, The Ritz-Carlton Hong Kong and Cordis, Hong Kong are some of the popular hotels in Hong Kong. How much is a hotel in Hong Kong for this weekend? The average price per night for a 3-star hotel in Hong Kong this weekend is € 270.42 or, for a 4-star hotel, € 371.84. Looking for something even fancier? 5-star hotels in Hong Kong for this weekend cost on average around € 623.06 per night (based on Booking.com prices). What are the best hotels in Hong Kong near Ladies Market? Some of the best hotels in Hong Kong near Ladies Market include Cordis, Hong Kong, The BEACON and Royal Plaza Hotel. What hotels in Hong Kong have nice views? The Ritz-Carlton Hong Kong, Four Seasons Hotel Hong Kong and The BEACON have received great reviews from travellers in Hong Kong regarding the views from their hotel rooms. How much is a hotel in Hong Kong for tonight? On average, it costs € 101.16 per night to book a 3-star hotel in Hong Kong for tonight. You'll pay on average around € 152.84 if you choose to stay in a 4-star hotel tonight, while a 5-star hotel in Hong Kong will cost around € 296.15 (based on Booking.com prices). What are the best hotels in Hong Kong near Hong Kong International Airport? Travellers who stayed in Hong Kong near Hong Kong International Airport (HKG) have said good things about Regal Airport Hotel, Hong Kong SkyCity Marriott Hotel and Transit Resting Lounge by Aerotel (within restricted area). 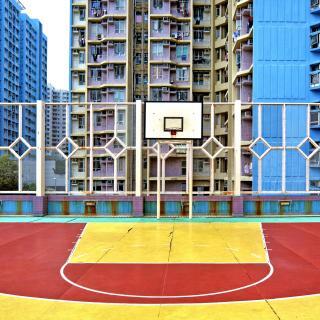 What is the best neighbourhood to stay in Hong Kong? 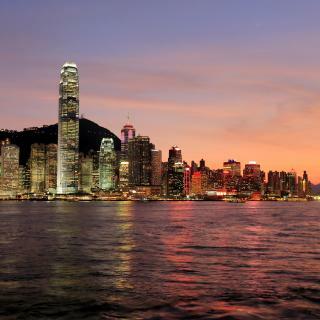 Hong Kong Island, Kowloon and Central District are popular with other travellers visiting Hong Kong. How much does it cost to stay in a hotel in Hong Kong? On average, 3-star hotels in Hong Kong cost € 111.19 per night, and 4-star hotels in Hong Kong are € 155.28 per night. If you're looking for something really special, a 5-star hotel in Hong Kong can on average be found for € 307.48 per night (based on Booking.com prices). Which hotels in Hong Kong are good for families? Many families visiting Hong Kong loved staying at Homy Residence, The Peninsula Hong Kong and InterContinental Hong Kong. One of the world’s busiest and most populated cities, Hong Kong is best-known for its stunning skyline with over 1200 skyscrapers and its “East meets West” cultural mix. With architecture and interior design influenced by feng shui and modern technology, this city is truly unique. 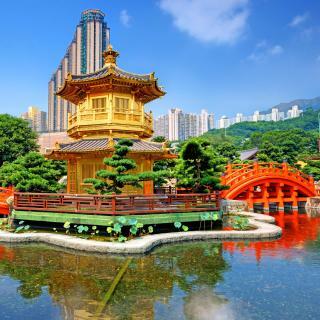 Hong Kong offers plenty of interesting city and thematic tours, ranging from cuisine-oriented, to architecture, to nature. 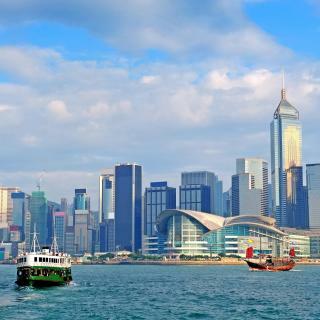 The latter is particularly fascinating as Hong Kong has many amazing mountain landscapes, marine parks and the Tian Tan Buddha on Lantau Island is only a ferry ride away. Kowloon is a busy urban center near Victoria Harbour, where ferries are an excellent choice to see just how tall Hong Kong's buildings actually are. Excellent tax-free shopping can be found in high-class malls, boutiques and street markets. 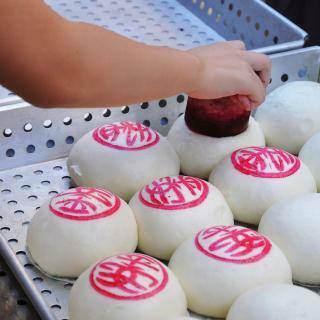 Hong Kongs’ unique cultural fusion is clearly seen, tasted and heard in the local food, like dim sum from Maxim's Palace or hot pot from street vendors complimented local Cantopop music in the backgound. Arriving at Hong Kong International Airport you’re only a short trip from the city centre. Whether you’re staying in a chic hotel or a budget hostel, Booking.com has the perfect accommodation for your Hong Kong holiday. Ten days was still not enough to adequately sample all the delights of this incredible east-meets-west city. We elected to stay in three totally different hotels (all in Kowloon- the Novotel in Yau Ma Tei, Rosedale in Mong Kok and the Langham in Tsim Sha Tsui) for an all round experience. We probably wouldn't recommend the Rosedale but that's only because it is very much geared to Chinese business travellers, is a little hard to get to and away from Nathan Road -however, it has the most amazing roof top bar and great views from the rooms!). The HOHO bus tours are a must to get your bearings and see the other side of HK Island including Stanley and Recluse Bay. It also includes a boat ride through the floating houseboats of Aberdeen. Whilst we loved morning tea at The Peninsula and HK high tea on the verandah of Hullett House, we felt incredibly safe in HK and highly recommend that you allow yourself to wander and explore the streets with their markets, street food and eateries, mah jong parlours, antiques, footpath opera, crazy items for sale on the footpath (tapware and toilet cisterns were particularly popular in Mong Kok), birds, fish, flowers, bonsais....not much English spoken but everyone is pleasant and patient so long as you remain respectful and polite. At night the flavour shifts again as the place comes alive all over again under the blinking neon lights! A Lantau Island tour was wonderful, as were trips to the History, interactive Science, and the Flagstaff tea museums (entrance to HK Park is right opposite the Shangri Lah Hotel). Flamingos in Kowloon Park were also an unexpected find. Next time we will get out to the New Territories and pop over to Macau for a look. Get yourself an Octopus card to use the excellent train system, explore, enjoy and open your mind to new experiences and culture and you won't be disappointed in Hong Kong. It really is much, much more than duty free shopping. We were shocked and disappointed to discover how expensive Hong Kong now is. The cost of high end goods such as Coach and Burberry is actually higher in Hong Kong than Australia. But the range is bigger ad better. We ate at the Biergarten German Restaurant in Hanoi Road and were extremely ill for several days until the antibiotic took effect. This impacted badly on our holiday as we were unable to complete our itinerary. Hint for travellers: check the cleanliness of a restaurant's bathroom before placing an order. I discovered the bad news after I had already eaten. The practice of hotel reception taking a deposit that is larger than the actual total room cost plus the full cost of the room at the same time totally exhausts your credit card. An infuriating and costly exercise. 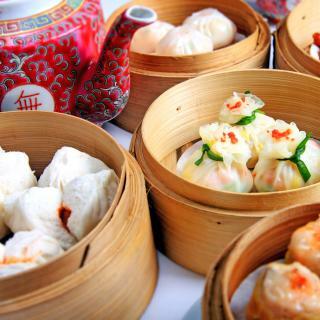 For great dim sum eat at the chinese restaurant at the Eaton Hotel. Cabs are very inexpensive. The harbour view at night is breath-taking. Hotel 36 is the best budget hotel that you can get. Hotel 36 is the best budget hotel that you can get. It is near to everything, they have a very staffs and rooms are perfect for 2-3 persons travelling. If you'd like to buy something original at low cost or discounted price I suggest that you go to Citygate Outlet. You can also visit Victoria Peak to get a better view of Hong Kong. The people are very friendly easily we can ask for directions, a bit hard to communicate in English but can be managed. Restaurant staffs also are excellent they maintain clean environment. I notice most of the workers are seniors but they doing a good job. I also liked the part when we reached Kawloon from Disneyland we got lost looking for the hotel but a group of residents noticed us and approached for help. They tried to communicate with us as much as they with us in English. Although it was a long line checking in the hotel it is worth the wait because they gave us the best room. The L' Hotel Nina is our place of stay during our visit, we stayed there before when we first visited Hong Kong in 2010 we never hesitated to visit the second time. In morning the concierge guided us on how to go around Hong Kong using the MTR, the metro is most convenient and affordable means of transportation in Hong Kong. Using the Octopus card they are also giving 50% discount for children, you can also use the Octopus card to buy foods and stuffs. We had our 2 day ticket to Disneyland, we use the first day immediately when we arrived from the airport. We took one day rest, then we used the 2nd day pass to Disney. during our rest day we took the advantage to go around Hong Kong using the MTR. We visited Central, The Peak Tram, and more. Even though it is a bit raining it just keeps the place even cooler. I highly recommend this hotel! We stayed here for my birthday and it was perfect. The staff were so nice and friendly, they even put balloons in the room for my birthday (my husband notified them when booking). The facilities and room were stunning and everything felt very luxurious. Breakfast in the morning was amazing. Location is very good; can easily walk to Central, Admiralty, Wan Chai and even Causeway Bay. Admiralty MTR is very close, can walk it in a few minutes. Absolutely no complaints. The hotel has modern feel and the location is superb. Only few minutes walk to airport bus sts and MTR sts, tsim sha tsui promenade for Symphony of Lights, Hong Kong Science museum which is a very good attraction for those who travel with kids, Kowloon Mosque, surrounded by lots of restaurant, including Halal restaurant and Indonesia Restaurant. The staffs are friendly and helpful and good english speaking. The hotel room was quite big compare to other hotel room in HK. The rooms were decently sized. Don’t expect state of the art electronics in the room. A decent tv with working air-conditioning and working showers. The most important thing was its really clean! The room was made everyday, towels changed. Service staff were very friendly and courteous too. Location is great! 7mins stroll away from Wan Chai MTR. Alot of food around the hotel. The tram stop was just around the corner, which will bring you to causeway bay or central. 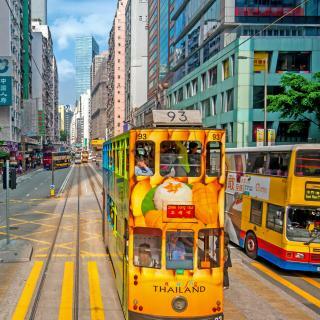 The hotel is in the "nice" part of Wanchai, minutes from both the MTR station and the tram, walkable to both Central and Causeway Bay areas, and with lots of convenience stores, supermarkets, and eateries nearby. Our Queen mountainview room was very spacious had a stunning mountain view (as the name suggests), staff were very friendly and accommodating. A great mid-price option in a fantastic location on Hong Kong island. Very clean and decent room, safe location, and close to MTR (Olympic station-where Olympian City Mall is conveniently accessible in one of its exits-Exit D). It is one of the cheapest hotels in Hong Kong. As we all know, accomodation in HK is very expensive. I would really suggest this hotel. It is not located in the center but not quite far. This is a way better option than staying at the guesthouses at Chungking mansion. The excellent customer service and attention to details was most appreciated. The modern vibe and atmosphere of this hotel is very refreshing to see in a hotel. Our room was very clean, well appointed and had a great view of Kowloon and the harbour. The hotel location is perfect for walking to many attraction in the TST area of Kowloon. We would highly recommend this hotel to anyone visiting or doing business in Hong Kong. Amazing stay at this hotel for our 5 day trip to Hong Kong. Location is amazing and so close to tram, bus and metro connections. There is a Starbucks downstairs for extra convenience. We didn’t opt for the hotel breakfast, instead there is lots of bakeries a short walk away near sheung wan station. The staff were extremely friendly, quick to respond to requests and went out of their way to accommodate us. 5 stars!! I stay in Hong Kong for 1 night many times. I tried so many hotels, but in this price range I always found really crappy places. For the amount you pay, you get clean and modern room, central wan chai location. Check in was quick and they even gave me the room earlier so I could refresh myself before going for meeting. Friendly service and nice spacious room. Loved the free shuttle bus services to nearby Wan Chai, Causeway Bay and Central. We booked a family room and had 2 queen size beds. Hotel provided child size bed room slippers, enough towels, a snack pack for the kids and a teddy bear mascot for keeps. Micro hotel is the cheapest hotel nearest to Hong Kong Polytechnic University. The staffs are friendly. However, the staff attended late when we arrived in the hotel. They are now our friends. I love the place because its clean and beautiful. Located in central Mong Kok close to all the action in Nathan Rd. Great price. We arrived late at night due cancelled flight. Hotel responded quickly to emails and check in/our v efficient. Great happy hour deals in hotel bar! Great location, not far from Tsim Sha Tsui MTR station. The staff were very lovely and helpful. The price was unbelievably cheap in comparison to other hotels in Hong Kong and was ideal for a backpacking trip. excellent location right in the center of tsim sha tsui,you can go to shopping and then walk back to drop off all your stuffs just only 2-3minutes free shuttle bus to kowloon station is stop at your hotel. Wonderful location!!! Convenient access to Tsim Sha Tsui exit A2, across the street from CityFlyer airport bus A21, close to the Star Ferry. Ideal for exploring Kowloon and Hong Kong. Excellent hotel with an excellent location in the Kowloon island. You can enjoy waking this side of Hong Kong. The personnel and the facilities were amazing !!! Very beautiful and convenient hotel. Near a good station, in the downtown of Hong Kong Island. The room is clean, good wifi, and great bathroom. The hotel in centrally located in Wan Chai. Cheap hotel option for Hong Kong.